What’s Wrong With Being Girly? The Next Thing on My List. The announcement was made by Gregg Goldstein in The Hollywood Reporter yesterday, and also by Jessica Barnes in Cinematical. 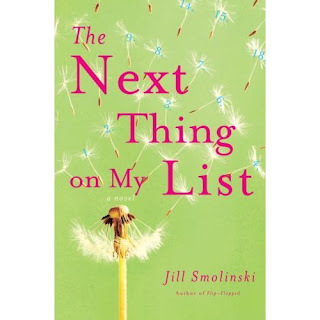 In Smolinski’s story, her heroine’s life changes forever when she decides to complete a list started by a new acquaintance who dies next to her in a car crash. The list includes simple acts like going braless all the way to the hard stuff like pitching a new idea at work and on to the monumental — changing someone’s life. 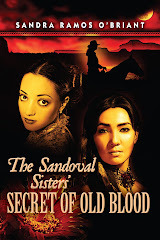 It’s written in a straight-forward, witty style with a momentum that carries it swiftly forward. Barnes says ". . . List will be joining a growing slate of so called 'girly' films that New Line is scheduling for the coming year." She also refers to films for those of the "female persuasion." In my opinion, there’s enough buddy love in the film industry for every man, woman, child and dog in the country. Dubbed bromance, the category includes films such as 300 and Superbad (both of which my son strongly urged me to see; think he went with a buddy), and practically every film Owen Wilson has been in (even when he has a girlfriend, his buddy is usually just as important). Girly stuff is not frivolous, it’s fun. We can be serious and deep, but we also like to be silly. I’ve tried to get my significant other to be more girly when we watch television together. I can leave it off. He can't. I don't even want to go into the dynamics of remote-control-dominion. I'm way past the stage where the shallower aspects of girliness consume me. It's just a part of the package. Girly has morphed into woman into the outer reaches of crone. So call me girly, click your tongue and yell out chica. Yeah, baby, that's me. Back to watching TV with my man. I throw out one-liners which he ignores. My gf’s would never do that. They’d laugh, rebut, rejoinder or all of the foregoing. It’s always fun. "Pretend we’re really close girlfriends who like to laugh and chat when we’re together," I suggest in my endless-yet-futile effort to make television watching more interesting. His response: "Are we bisexual girlfriends?" So, that girly gambit didn’t work the way I’d hoped. He needs to read Jill’s book. See the movie when it’s released. It’ll be a date movie, for sure, and we all know what that means. I don't mind girl films. You're right, there are more than enough of those " good buddy" films out there. Sometimes you just want to sit down and watch a film laugh. I don't mind the word girl or girly so much anymore. But I'm old enough to have become a lawyer when female lawyers were a discriminated-against rarity and when "girl" was a pejorative. Perhaps that's why I tend not to enjoy "chick flicks." :) In fact, I recently wrote a limerick called Chick Flick Flack.